It’s been a busy March so far with lots of weddings and a baby naming for a beautiful boy named Ashton. Lets start with him. 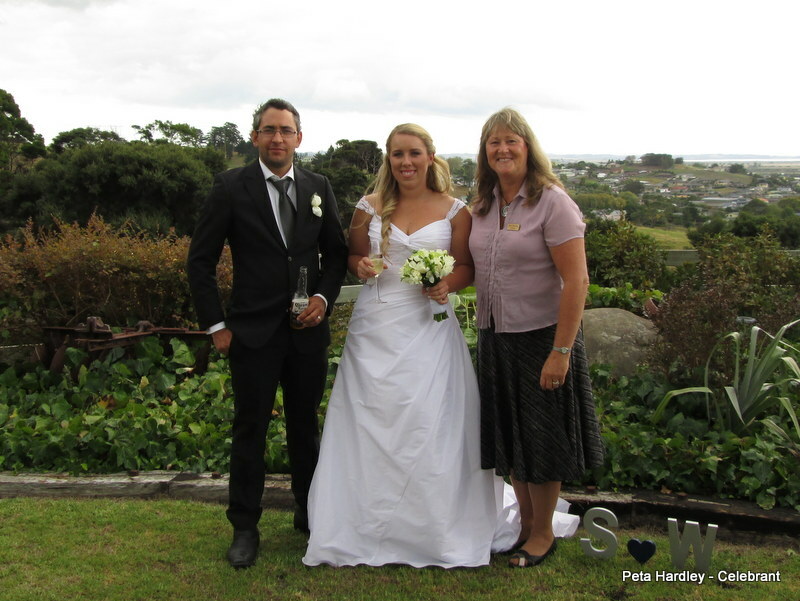 I married Ashton’s Mum and Dad – Miho and Bevan, 2 and 1/2 years ago at the lovely Settlers Country Manor. 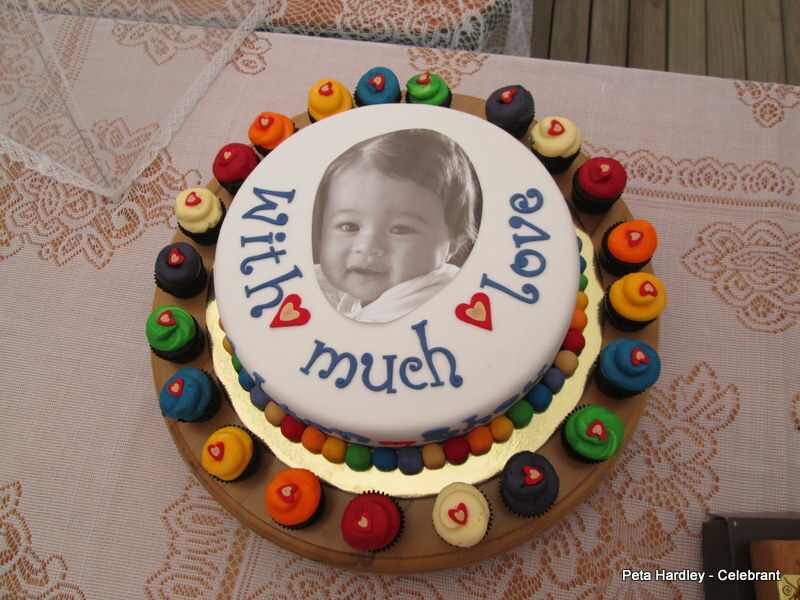 Ashton’s naming day was all about honouring him and welcoming him in to his community of family and friends. 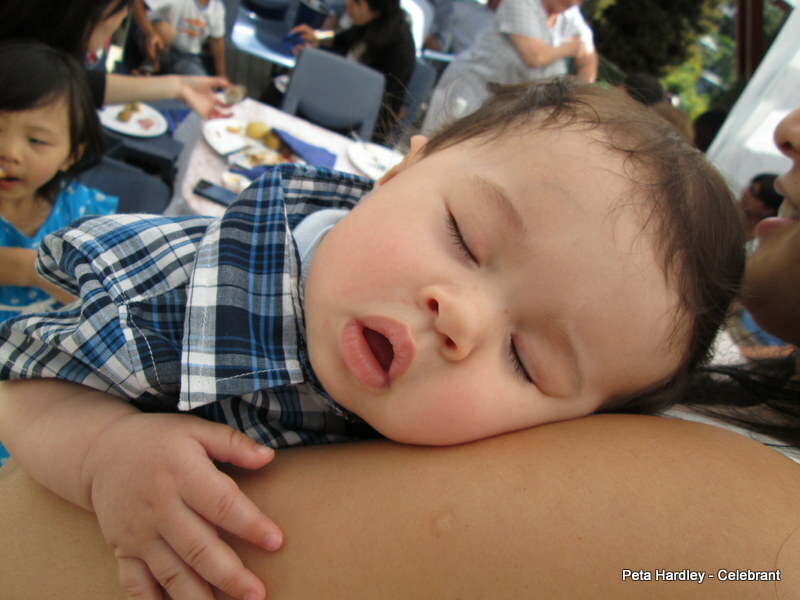 It was a relaxed lunchtime affair hosted by Bevan’s parents Jenny and Bryn in lovely Titirangi. We spoke about Ashton’s name, a bit about him, his family and their love for him. A gifted pounamu was blessed, readings were read, Godparents were named, food was eaten and laughter was had. 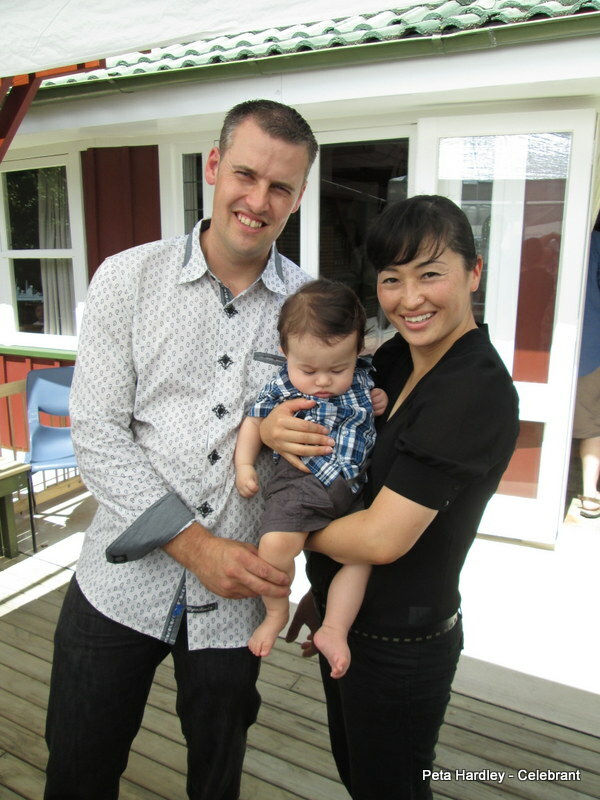 One of the Godparents had even written a special poem and Ashton’s Japanese Grandparents participated via Skype. It was great fun but a bit tiring when you’re only little. Jenny had organised a fabulous cake, and spoke about the meaning behind all the beautiful bright colours. A fabulous day for a fabulous family! 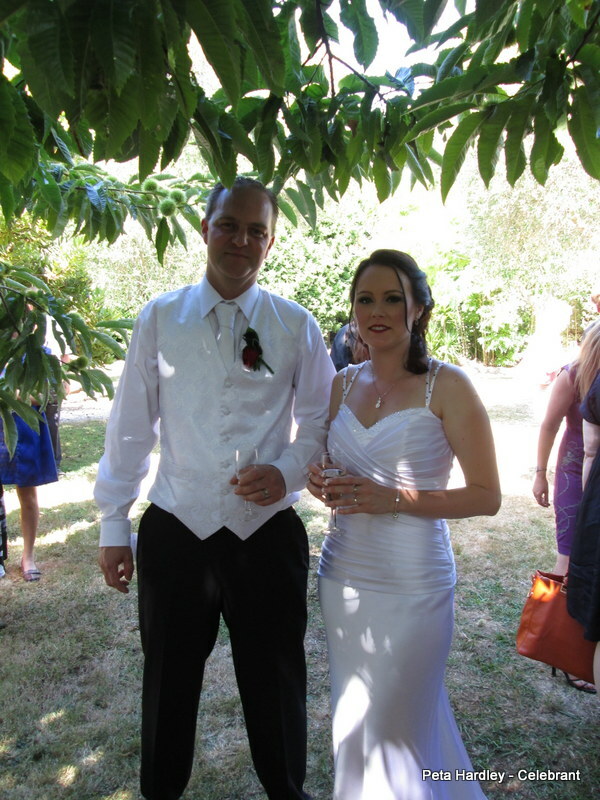 Much of my celebrant work is of course Weddings and Civil Unions. 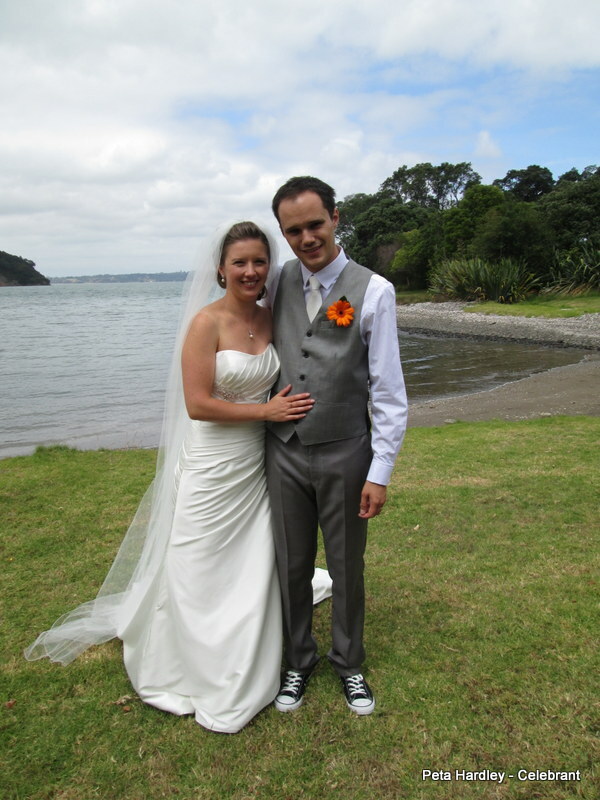 Rebecca and Mark were married at Hinge Bay in Huia, on the edge of the Manukau Harbour. I’ve known Mark since he was little and have officiated at the marriages of his sister and cousin, so it was a real honour to be there when Mark and Rebecca said their I do’s. 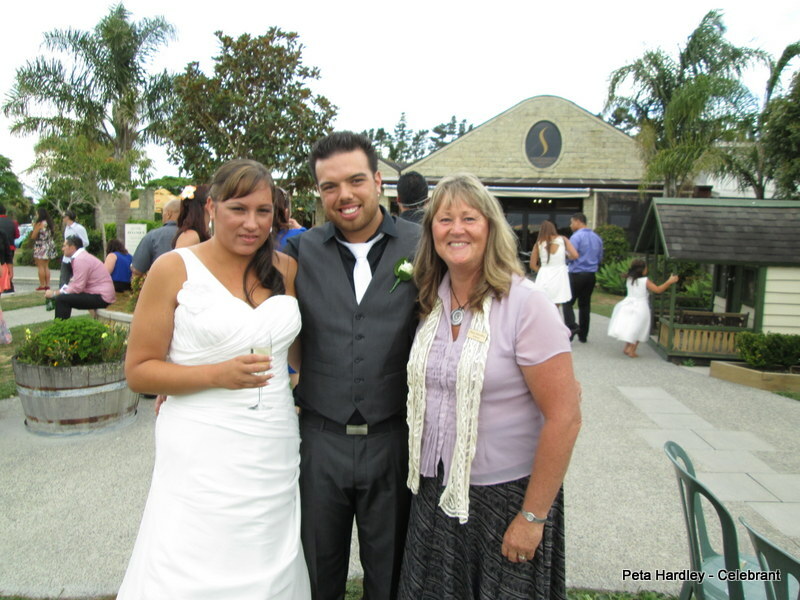 Tracey and Matt (above) had a perfect summer’s day for their wedding at Markovina Winery in Kumeu. Even the injury Matt sustained to his wrist at his stag do, was forgotten the minute he saw beautiful Tracey arrive. 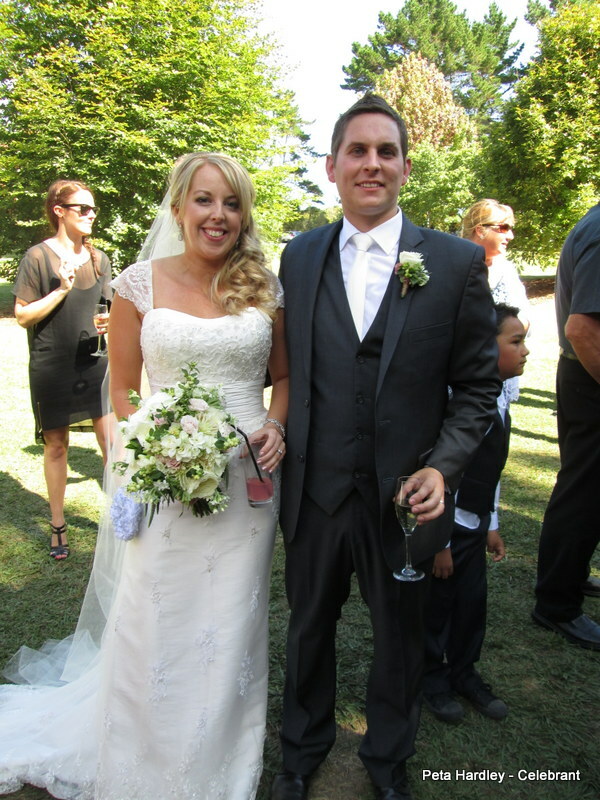 Romaine and Elliot (above) chose Soljans estate to celebrate their big day. A highlight of the ceremony was the Dr Seuss reading, read by two young neices. During the ceremony there was also the giving of a necklace to their daughter Ryleigh, to signify the special place she has in their lives and as a keepsake of the big day. I promise to encourage you and inspire you, and to love you truly through good times and bad. I will forever be there to laugh with you, to lift you up when you are down, and to love you unconditionally through all of our adventures in life together’ – That’s what it’s all about! 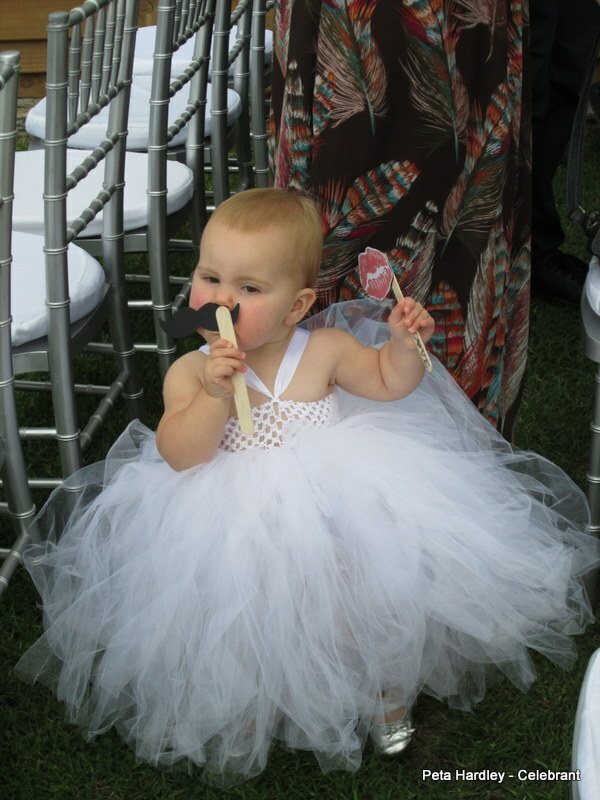 I had to just include an “Awww… that’s so cute’ photo of Sara and Will’s little flowergirl – Sophia. Peeping over all the tulle she seemed to love alternating the false moustache with the luscious lips. I still reckon I have the best job in the world!